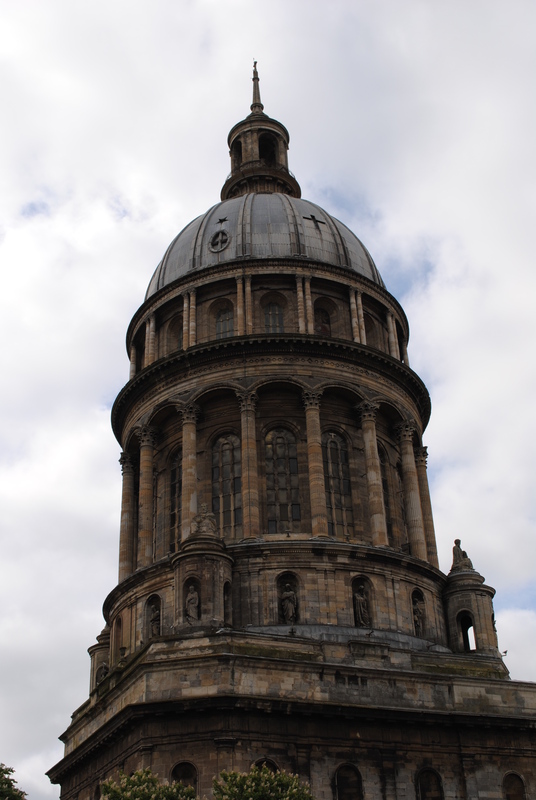 Although a lot smaller than other walled cities that I have visited (400m x 300m), Boulogne’s old town still has that romantic aura about it. The first thing I liked about the old town was a small cafe I found that served good coffee. When I asked for a black decaf coffee, I actually got a black decaf coffee. Not a black coffee with a jug of cow’s milk next to it. As I’d been unable to secure self-catering accommodation in France, I decided that little cafe would be my first stop every day for my morning coffee fix. The architecture in the old town is as quaint and photogenic as you would expect it to be. I found it to be like a ghost town until 10am, and then all of a sudden it seemed to come alive with people, both locals and tourists. Although there is a tourist presence, mainly British and French from what I could hear, there isn’t a huge amount of souvenir shops selling the usual tourist wares. Instead, the odd one is dotted amongst regular shops and restaurants. Interestingly, the Rue de Lille was filled with workshops making candles during the Middle Ages. These were then sold to pilgrims. The candles were probably the equivalent of today’s friendship bracelets and postcards. 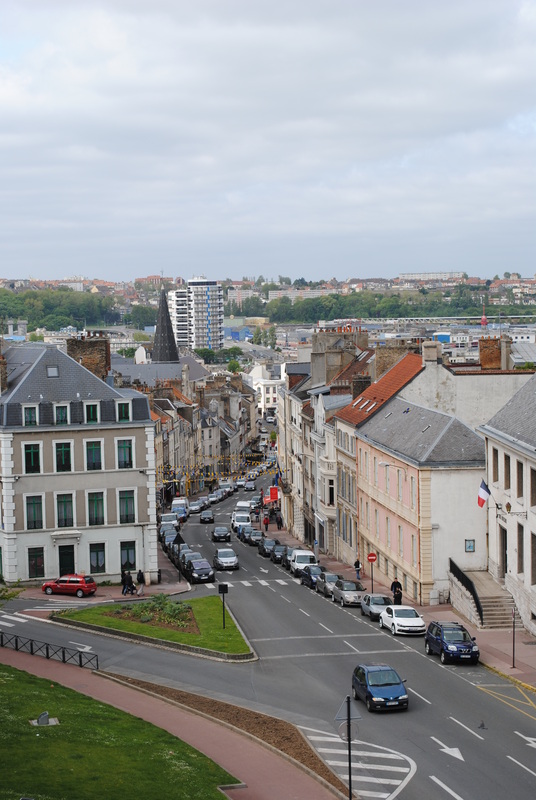 Boulogne’s old town was built at the beginning of the 13th century by the Count of Boulogne on the foundations of the Gallo-Roman walls. 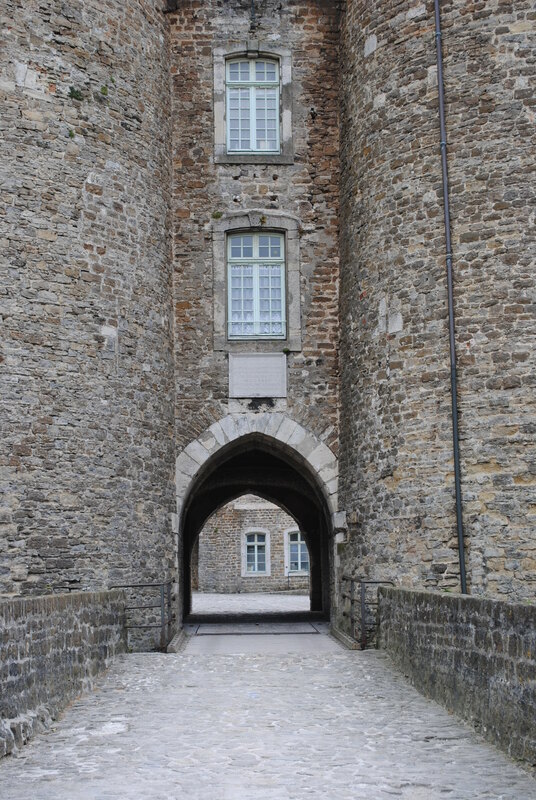 The current walls, or ramparts, were built between 1227 and 1231 by Count Philippe Hurepel. 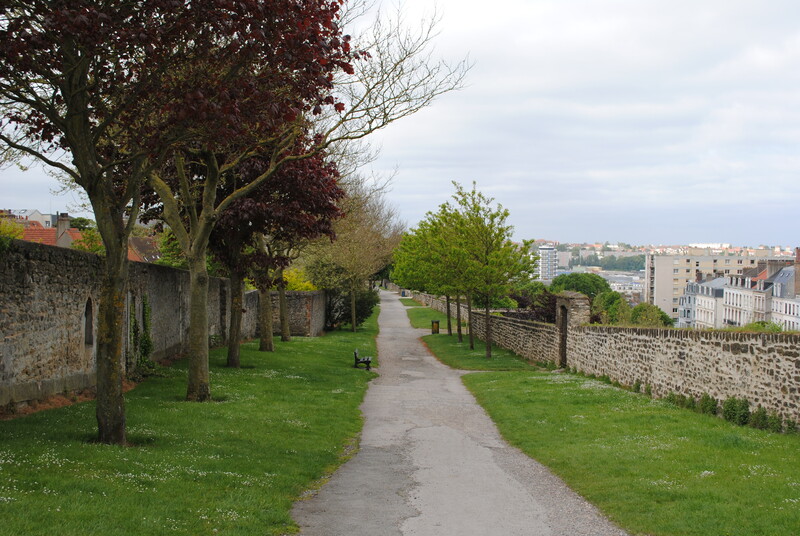 There are four gates into the walled city, and a footpath runs around the top of the walls. The jewel of the old town is the castle, which was constructed at the same time as the ramparts and was the first castle to be built without a keep in the history of military architecture. The museum which is attached to the castle is ecclectic to say the least. 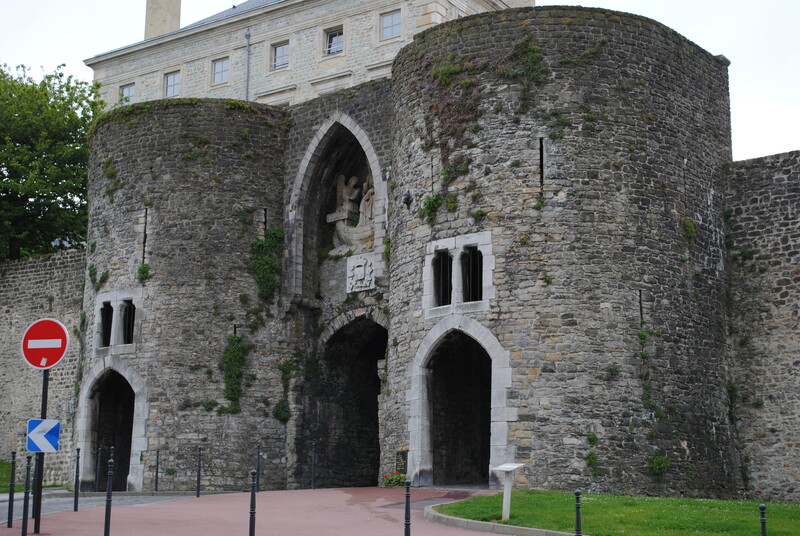 I was surprised to find that the artifacts within it had very little to do with the castle or Boulogne. The museum was created in 1825 after Boulogne acquired the cabinet of curiosities created by the Viscount Isidore Leroy do Barde. It takes you on a journey through cultures from all over the world, from Alaskan fishing implements to ancient Greek pottery. It’s like the museum is one big cabinet of curiosities itself, and I really liked that idea. Probably my favourite exhibit from the whole collection was some Haida masks. I studied this culture as part of my Bachelors degree, and it was a pleasant surprise to find such fine examples in a small castle in France. The museum also houses a temporary exhibition. Whilst I was there, it was Egyptian artifacts on show. Out in the courtyard, there was a fascinating installation art piece. All I was able to find out is that it’s untitled and by an artist called Michel Dhalenne. If anyone knows anymore, please pass the info on. The aesthetics of the piece blew me away, although I did wonder what problems they must encounter when it rains. Surely there is a danger they could end up with a huge, sticky mess of paper pulp?